Gibraltar is expecting 254 calls and just over 400,000 cruise passengers this year, up from 235 calls a year ago. Even more impressive is the growth from 2013, when the port welcomed 278,139 cruise guests on 179 calls. A new Skywalk was recently opened by Luke Skywalker himself (Make Hamill), and is proving itself to be a popular attraction for cruise guests, according to a spokesperson. Itinerary planners and cruise line executives got an up-close look at the destination last year, as Gibraltar played host to MedCruise last summer. 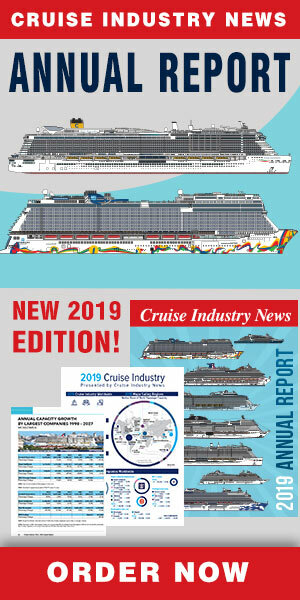 “Gibraltar offers a variety of options to cruise companies, both from a customer and business point of view,” the spokesperson said. For cruise lines, benefits are similar with tax-free opportunities for ship spares and bunkering. A six minute transfer to the local airport makes crew transfers easy. The port offers incentives to select vessels under a so-called Green Award Scheme, rewarding environmental excellence. Port officials have their eyes on future plans, including an increase in berth slots and a terminal expansion. The 2019 season extends from January 10 to December 30, starting with the Mein Schiff 2 and ending with the Mein Schiff 4.